and the cleanser sample is rm59? 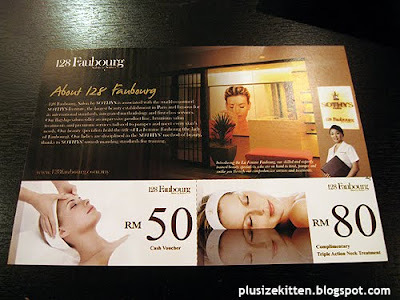 too bad is at one utama..super far for me..
so the voucher oni can use in one utama branch or any sothy?? which is super near for me..
both the SA very nice n kind.. didn't push me.. or anything. they offer me free sample n lucky draw.. ahahaha..
wahhh--- lucky draw for no purchase? 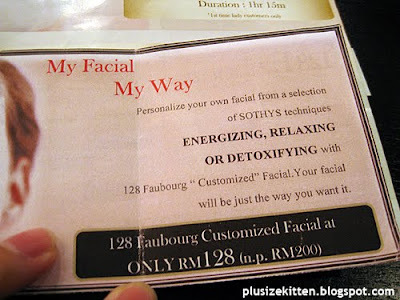 I've just tried Sothy's facial during my trip in Bangkok. I was so surprised by the result, it was so good! My skin was dull and uneven before, and just after one facial, my skin is so soft, it's even, luminious, hydrated and . I've tried a lot of facial, but this one is really exceptional. I was rushing n don't have time to check the pricing for the product...I'm sure it's expensive...anyone can give the pricing for the product?